Burrata Cheese originated in the city of Andria within the Apulia region in Southern Italy. It is a typical Apulian product, that is made from fresh cow's milk, or buffalo's milk. Its literal translation is "Buttered", which explains the cheese's rich flavour. Burrata Cheese is made from Mozzarella, but it is not Mozzarella. It is its very own, remarkable type cheese. It is made with a sheet of Pasta Filata (Mozzarella), and Stracciatella, which are strings of fresh mozzarella cheese curds mixed with fresh cream. The Stracciatella creates a soft consistency that is elegantly creamy and silky. All of these ingredients give Burrata cheese its incredible lightness and freshness. Find out more about our Mozzarella Cheese products here. It is recommended to keep cheese on a higher shelf of the refrigerator, far from food with strong odors, in order to avoid absorption of unwanted tastes and smells. In fact, the best option is to store them in a food container with lid to preserve cheese freshness and to protect from moisture, odors and possible moulding in the fridge. Freezing is not recommended. Burrata is typically served at room temperature, and since it's fresh, it's best served within 48 hours of purchase. After that it's considered past its prime (even though it's still perfectly edible). And the real magic happens when burrata is sliced open and the creamy insides spill out. It makes a nice topping on a salad and is wonderful served with crusty bread. Tanto Latte is a manufacturer, retailer and distributor of Italian Soft Cheese in Salmon Arm, BC. We produce an assortment of Italian cheese for both retail and the food service sectors. We work hard daily to bring to your table the best homemade Italian cheese. At Tanto Latte, we are committed to producing the freshest and highest quality of dairy products. We pride ourselves to bringing you the most authentic tasting Italian Cheeses with no milk powder or milk proteins added. We understand that dairy products are packed with great nutritions and they are an essential part of a healthy diet. That’s why, all of our cheese products are made from 100% Canadian whole milk, from Dairy Farmers of Canada with cows treated with the necessary care, nutritious diets and respectful environment. 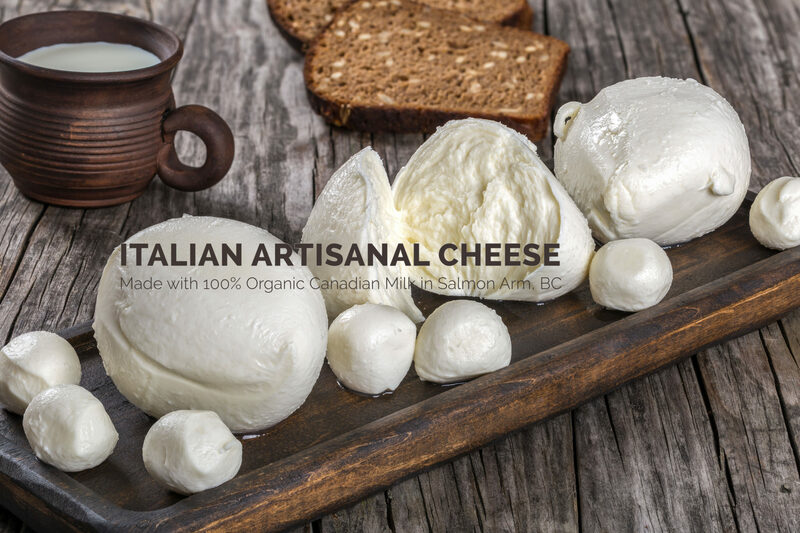 Our cheeses are handmade in our factory in Salmon Arm, BC and offered to you with daily freshness. Visit our store or contact us today for more details. Burrata is best used fresh in salad recipes, with crusty bread or in other small plates. It is also wonderful to serve on its own or as a spread. Our cheese maker Luigi is also an award-winning Italian chef for 20 years! 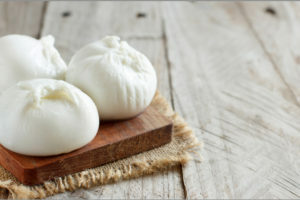 See some of Luigi's Burrata cheese recipe recommendations here.